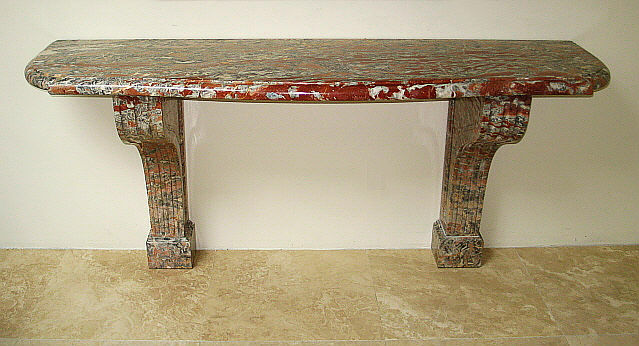 French marble console. Louis XVI style. Rouge, grey and cream veined marble.